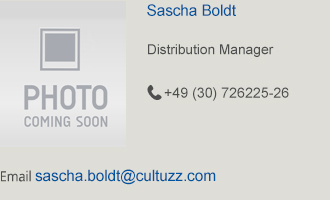 *Increases your sales: On average, CultSwitch customers were able to raise their bookings by 37% in 2012. 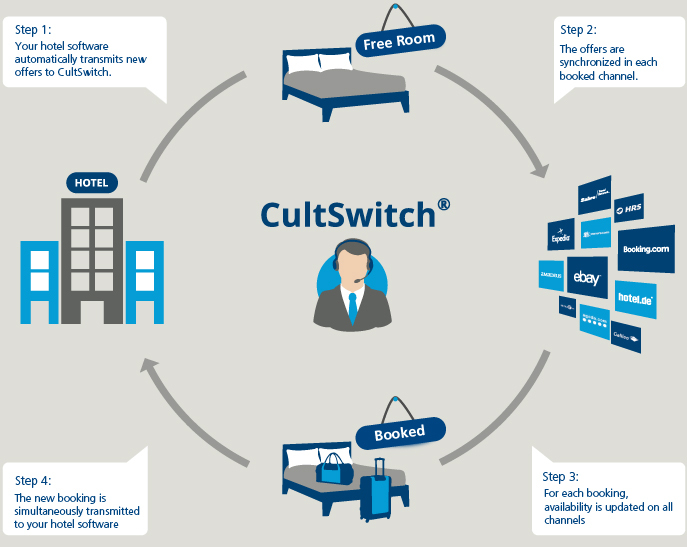 The CultSwitch Channel Manager supports hotels and accommodation providers with the transmission of availabilities and prices to the various distribution channels on the Internet. It also automatically retrieves bookings from the online booking platforms. The ability to automatically serve the booking platforms and the easy connectivity to your hotel software saves time and money. You can connect to the GDS system, gain access to the eBay travel market and be bookable on a wide range of top booking platforms. CultSwitch is connected with all of these systems. On the one hand, CultSwitch offers you: The independent and reliable automatic offering of your current free capacity in a variety of distribution channels on the Web. On the other hand, if desired: The connection between your hotel management software (PMS) and these distribution channels allows your free rooms to be systematically offered - and in real time - on all major platforms. Of course, you also have the freedom to create your own deals on the CultSwitch website. "With CultSwitch, we have more time for our guests, as well as more time for creating special offers, like seasonal promotions... This has a positive impact on revenue. " You are present on the online platforms - and receive more bookings! You save time and money on the expensive care of various platforms. You are protected against over-booking. You can offer your entire quota on all booking sites at once. Simply fill in - Submit - Become a customer. Click here if you want to start immediately with the Channel Management. We have read and agreed to the terms and price list. Or would you prefer an initial consultation?